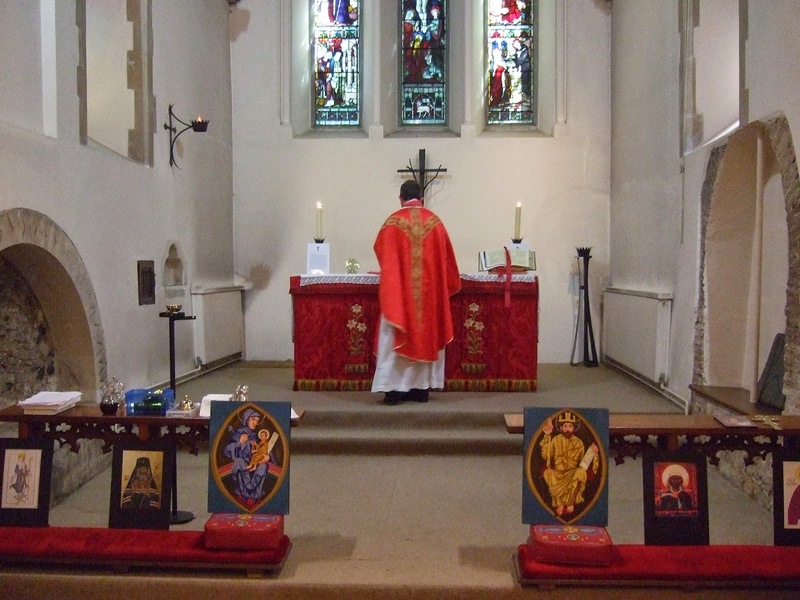 1st June SUNDAY after ASCENSION: 9:30 a.m. Western Rite Terce sung at the Saint Aldhelm Chapel in Saint Dunstan's Parish Church, Saint Osmond's Road, Poole, BH12 9JG followed at 10:30 by the Liturgy of the Antiochian Orthodox Church. 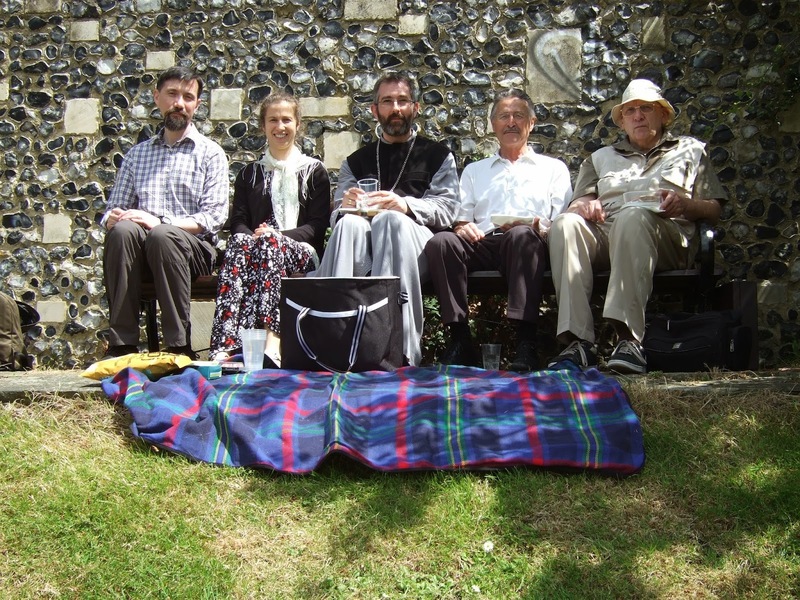 8th June WHITSUNDAY or PENTECOST: 11:00 a.m Western Rite Terce followed by the Saint Gregory Liturgy at Saint Martin of Tours church, North Holmes Road, Canterbury, CT1 1PW. St. Martin's Church is the oldest Church in the English speaking world still used for worship. It was here that St. Augustine set up his mission when he arrived from Rome in 597 AD to convert the English. 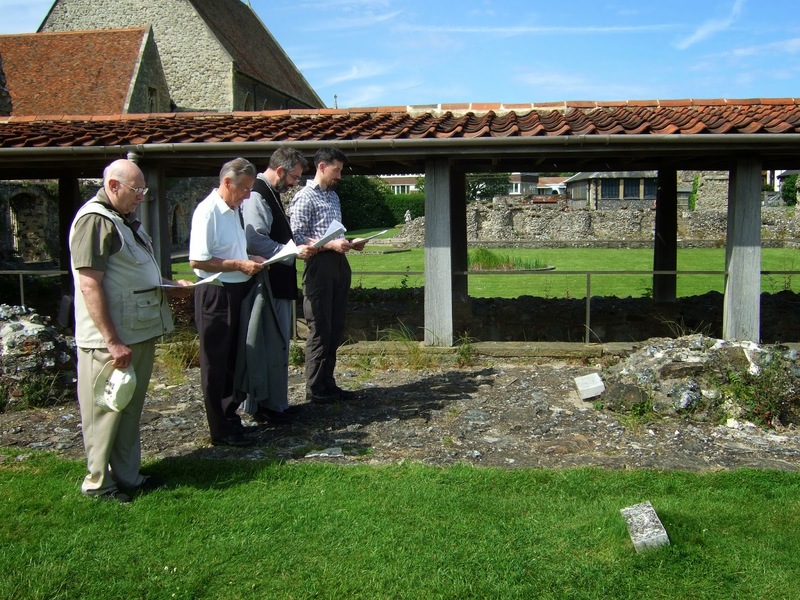 After the Liturgy, we plan to go to the ruins of Saint Augustine's Abbey, Longport, Canterbury (CT1 1PF) to pray to Saint Augustine at the Crypt. 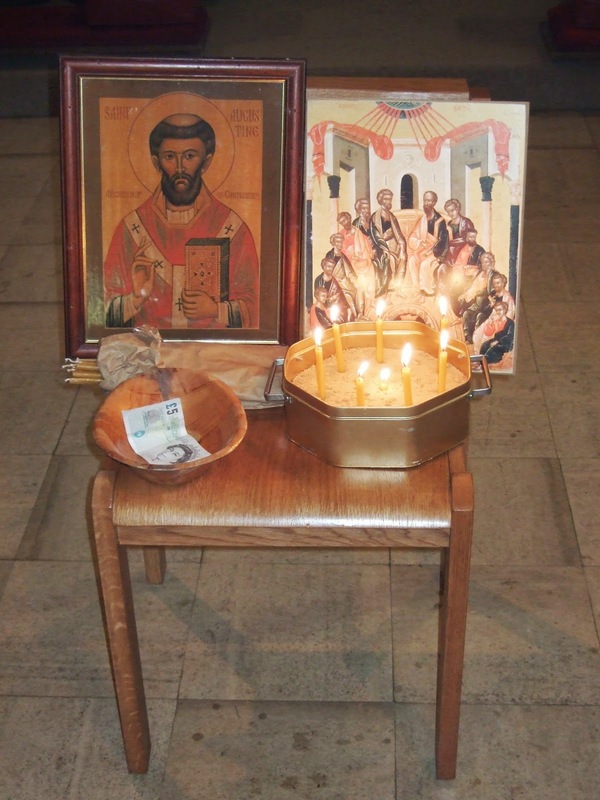 29th June PENTECOST III: 10:30 a.m. Western Rite Terce followed by the Saint Gregory the Great Liturgy at Headington Cemetery Chapel, Dunstan Road, OXFORD, OX3 9BY.